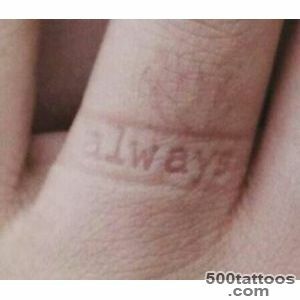 In recent years, various countries began to gain popularity as a ring tattoo. 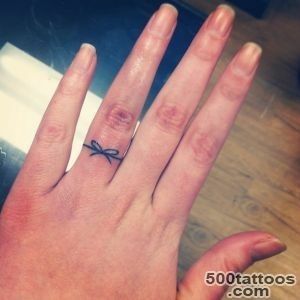 Given that a tattoo design can be quite varied, the value of the ring tattoos definitely - it is a promise of love and fidelity, replacement wedding ring. 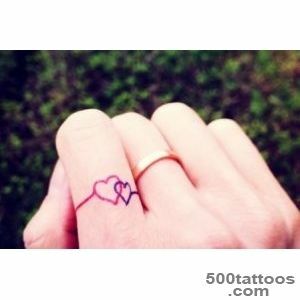 Sketch of tattoo in the form of a ring is very simple and it will cope with any master.The first to embody this idea in life rock musicians and stars of world cinema, followed by the usual bride and groom. 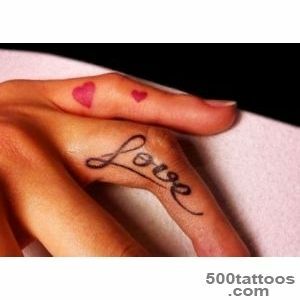 Create a tattoo - a very bold move, because, in contrast to the usual wedding ring, it will remain for a lifetime. 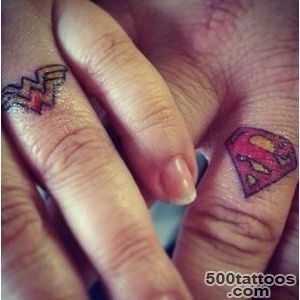 Therefore we can assume that the honeymoon with such " rings " is very serious intentions,and they are not going to leave. 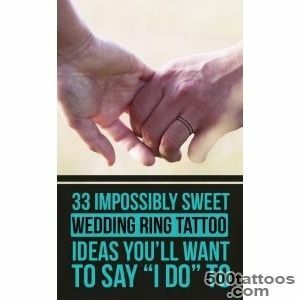 Another argument in favor of a tattoo ring - its price is much lower than the wedding rings of gold, and originality, no doubt, at the height. 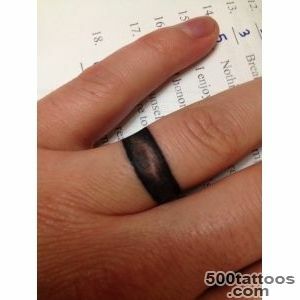 Also it is suitable for people who, because of their profession do not wear rings, to avoid injury. 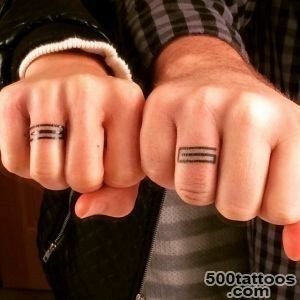 Finally,a person can suffer allergies to metals - then tattoo the best way out. 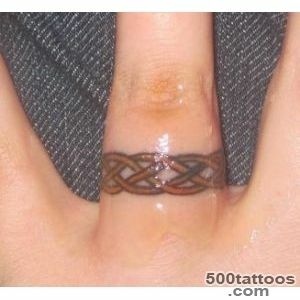 Tattoo ring may be performed in various embodiments. 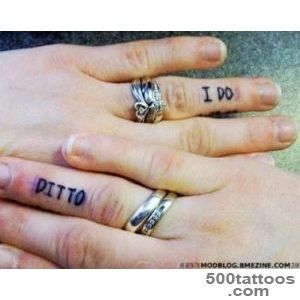 Enough popular application on the site of wedding rings dates Arabic or Roman numerals. 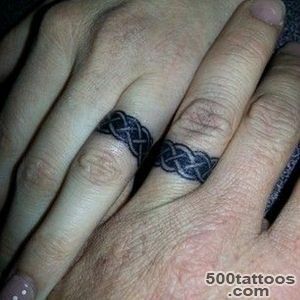 This reminder will always be there and will not forget the important date.The classic version - various Celtic or other patterns, reminiscent of a ring. 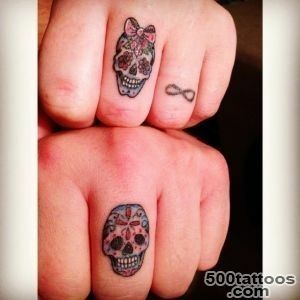 For the bold and original people tattoo studio offer tattoo on the entire ring finger in the form of motifs or the name of her lover. 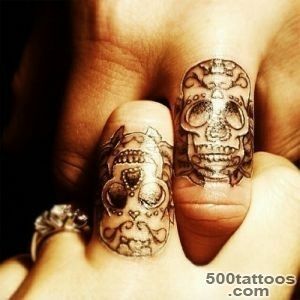 Unusually look tattoos are not the same, but complement each other. It may be half a heart or a lock and key.Usually they are in color. 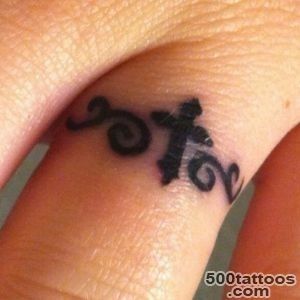 The initials of each other on the back side of the finger, adorned with scrolls, also look wonderful. 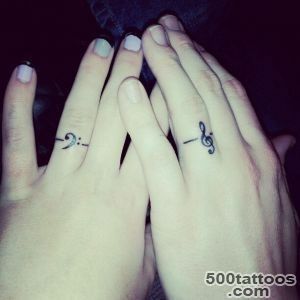 At the famous singer group Linkin Park Chester Bennington and his wife Talindy tattoo in the form of a wedding ring. 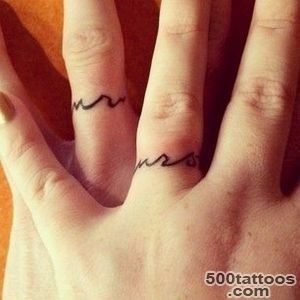 Scandalous blonde Pamela Anderson once got a tattoo with the name of her husband Tommy Lee.And after the divorce, I decided to change the label, and now instead of «Tommy» on her finger flaunts the word «Mommy». 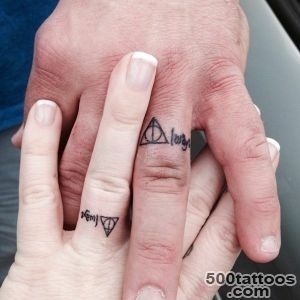 The popular TV host Howard Stern, experiencing the discomfort of wearing a wedding ring, I decided to get a tattoo «B» ( the name of his wife Beth) on the ring finger. 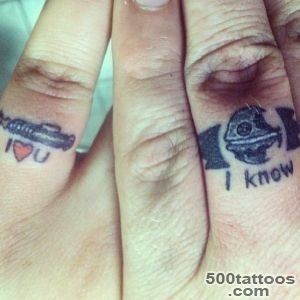 For those,who wants to immortalize their love and prove the seriousness of the relationship - a tattoo ring is a great choice.